Do you know that until this year I had never bought a clutch bag? I now have two - because that's how these things work - & this is one of them. 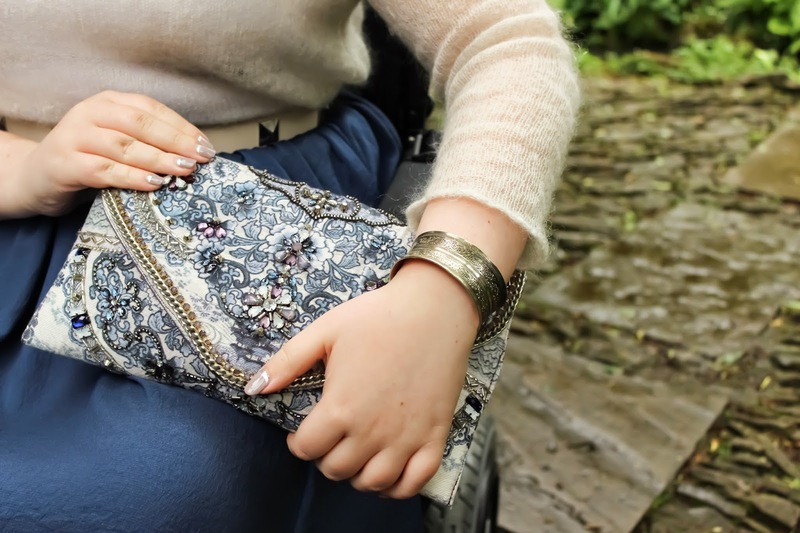 What I love about this clutch bag is that it is embellished enough to be worn on an evening but also elegant (& big) enough to be used in the day time. Lets call this a day to night outfit. It's something I would wear to something like a posh event during the day or nice cocktails on an evening. I actually wore this out to the park on a cold grey afternoon for about 30minutes to take these photos & then sit at my laptop watching trash TV. Totally worth it! The basic components of this outfit are cute but the reason this outfit works (in my opinion anyway) is the details, the accessories....the cute little pieces that I usually miss out because they are exhausting to choreograph. After seeing how all of this works I might put a little bit more effort into my accessories. I really can't think of anything else to say for this outfit, I only wore it for 30 minutes. I have to say though, I can't believe I hadn't put together this outfit before, it is a super cute combination. Put it down to having totally forgotten about this skirt before this week. 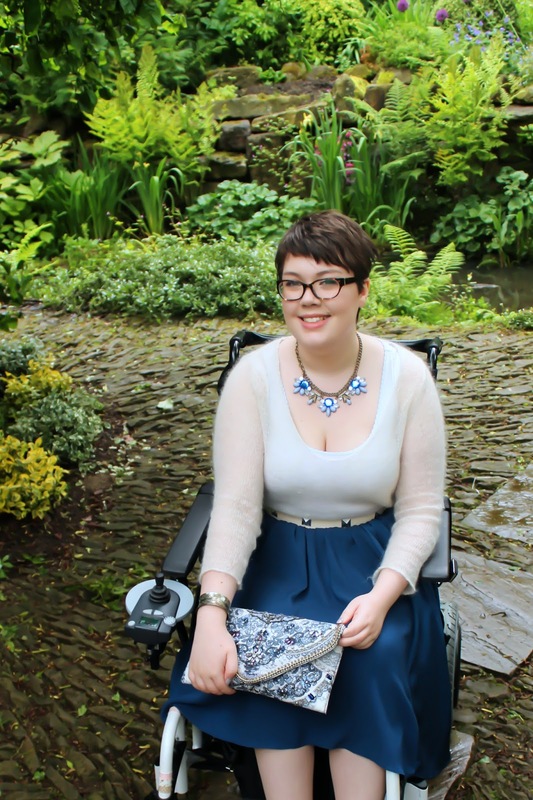 The nominations for the Cosmo blog awards close on the 2nd of June & I totally feel like I'm getting pushy but if anyone wants to nominating me, the link is here. 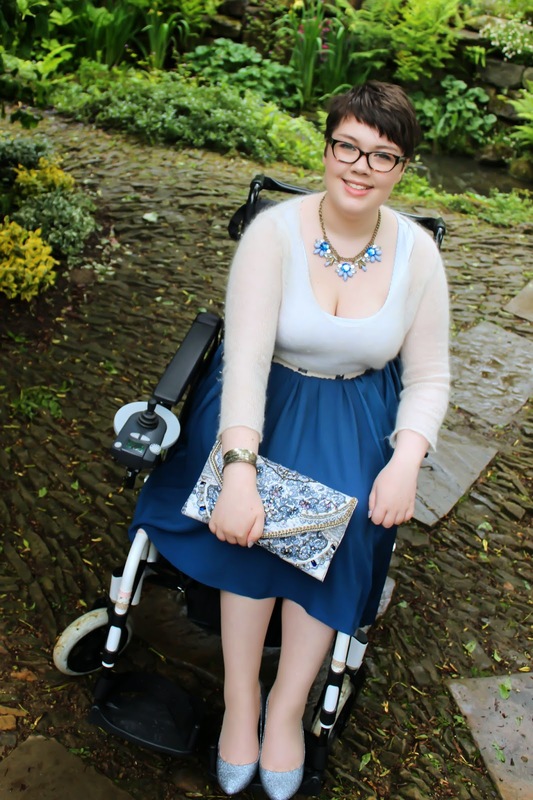 If I was campaigning for a blog award it would be 'best new fashion blog' (how cool would it be to see a wheelchair user in that category?). Obviously there are a lot of blogs out there way better than mine, so there is no need for you to nominate me for anything. The fact that you read the random stuff I post is more than enough. I'm such a fan of matching colour tones and accessories. It makes a look really polished and put together. Looking lovely! Looking gorgeous here! Your skirt is such a lovely shape for wearing in the chair I think I'm going to have to invest in something similar. That bag is just beautiful too! 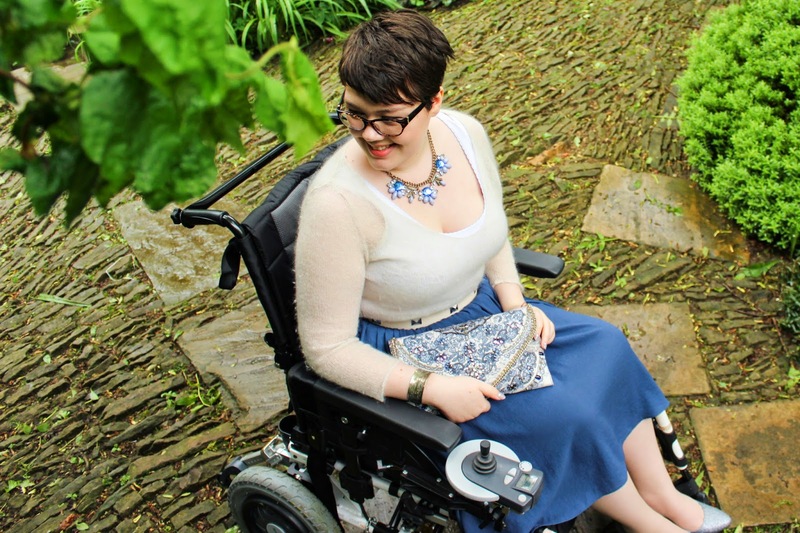 These soft but full midi skirts are the best trend for the wheelchair yet. I'm keeping my fingers crossed they never go out of style (& therefore the shops).